Так как это зеркало пока, я просто ознакомлю васс ним !!! Для начала повторюсь: Все мультики спокойно распростроняються в сети и вы можете скачать с этого сайта ! Все мультики предоставленны в оригинальном формате и не заархиривированны !!! На моём сайте вы можите прочитать краткое содержание на английском к кажому мульту !!! Подобно огню поперек галактики, клоническая война распространяется. Высший Канцлер Палпатин завербовал Джедев Оби-Вана Кеноби и Анакина, чтобы вести нападение на Muunilinst. Поскольку Джедаи готовятся вести Армию Республики к этому новому переднему краю, Анакин должен сказать до свидания его секретной любви Падме. Оби-Ван Кеноби и Анакин готовятся вести нападение на Muunilinst. The Republic fleet, led by Anakin Skywalker and Obi-Wan Kenobi encounters resistance as it enters the orbit of the planet Muunilinst The Republic's attack gunships manage to land on the planet, where they encounter the Droid Army of the Separatists Advanced Recon Commandos the elite shock forces of the Republic Army, are deployed on a special mission within the city, but their ship is shot down behind enemy lines. On the planet of Muunilinst, the elite ARC troopers, cut off from their original drop zone, must make their way to an enemy command center. Along the way, they must face off against the Droid Army in a tricky urban battle zone. The Separatist leader San Hill panics as the Republic Army advances. But Count Dooku has sent powerful new enemy, Durge, onto Muunilinst. This vicious bounty hunter leads a band of mercenaries toward the heart of the Republic's forces. The Republic Army now faces a challenge greater than ever imagined against this tenacious villain and his forces. On the water planet of Mon Calamari, Jedi Kit Fisto leads an attack on Separatist forces. He commands a squadron of amphibious clone troopers for the undersea offensive against a well-armed aquatic squad of the Droid Army. Count Dooku seeks a new ally with the power to defeat the Jedi. On the planet Rattatak, he encounters a mysterious fighter who dominates every opponent in the combat ring. She introduces herself to him as Asajj Ventress, a Sith warrior. After denouncing her claims to be a Sith, Dooku challenges Asajj in combat and defeats her. But he is so impressed with her skills that he gives her an important assignment - to assassinate Anakin Skywalker. Back on Muunilinst, Obi-Wan leads a team of Lancer Troops, specialized clone troopers mounted on speeder bikes. Durge and his mercenaries prove to be a stout challenge to Obi-Wan and his army. Meanwhile, the ARC troopers penetrate the enemy command center on another part of the planet. Obi-Wan continues his assault on the Separatist command center on Muunilinst. The Jedi general and his Clone Army takes the battle directly to San Hill and the Separatist Droid Army. 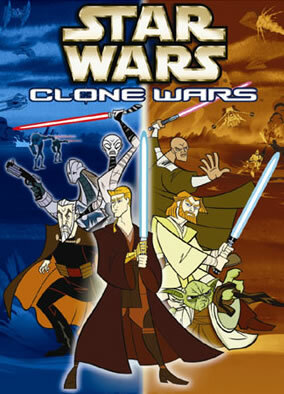 Anakin Skywalker is leading the Clone Army in a fierce space battle when a mysterious ship engages him. When the pilot, mysterious Dark Jedi Asajj Ventress, leaps into hyperspace, the impetuous young Jedi follows, ignoring Obi-Wan's orders. Anakin continues his pursuit of Dark Jedi Asajj Ventress, disobeying Obi-Wan's strenuous orders not to do so. During an intense dogfight, he tracks her through hyperspace to Yavin 4. Obi-Wan Kenobi, who is acting as a General of the Army of the Republic, dispatches a platoon of ARC troopers to support his Padawan. Jedi Mace Windu leads his troops in an intense battle on the plains of Dantooine. The Separatist forces counter the offensive with an enormous seismic tank, devastating the clone troops. Mace Windu finds himself alone and surrounded by the massive Droid Army -- without his lightsaber. Mace Windu continues to battle the Separatist droids singlehandedly on Dantooine. Facing an overpowering enemy assault, the unarmed Jedi Master must rely on the Force as he seeks to thwart the seismic tank. On the icy planet of Ilum, chameleon droids are planting explosives in the sacred Jedi caverns, the source of the crystals that power every Jedi's lightsaber. Jedi Luminara Unduli and Barriss Offee engage in a ferocious battle to protect this most important site. Padmй's head of security, Captain Typho, believes that going to Ilum is too dangerous. He tries to convince Yoda not to go, but the ancient Jedi Master is committed to rescuing Luminara Unduli and Barris Offee. Once the ship lands on Ilum, Yoda sets out in the snow, alone. To enter the sacred cave, he must first defeat a battalion of droids. Padmй is worried about Yoda, and she's not one to stay in one place as instructed. She leaves the safety of her ship and heads out into the cold with C-3PO and R2-D2 to find him. As they approach the cave, they must tangle with invisible droid soldiers. On Yavin 4, Anakin has tracked down his would-be assassin, Asajj Ventress. Now he must find her in the wild jungles of the green moon before the battle between these two highly skilled warriors can truly begin. Anakin and Asajj continue their hand-to-hand duel on Yavin 4. Ventress, an expert fighter who battles using two lightsabers at the same time, proves to be a formidable foe for the young Jedi. The battle between Asajj and Anakin becomes more intense. Anakin, filled with rage, attacks his foe mercilessly. Still, she is a crafty fighter with a few tricks of her own. A successful campaign on Muunilinst draws to a close, and Master and Padawan are reunited. Meanwhile, on the distant planet of Hypori, a band of Jedi Knights faces a mysterious and powerful enemy, General Grievous, Supreme Commander of the Separatist forces. Picking up where Volume I left off, this episode begins on the battle-scarred world of Hypori, in the wreckage of a crashed Republic starship. Inside, General Grievous continues to cut through a team of trapped Jedi warriors. It's up to a crack unit of heavily armed ARC troopers to come to the rescue. General Grievous and his relentless MagnaGuards have pierced the heart of the Republic to kidnap the beloved Chancellor Palpatine. Shaak Ti leads the Jedi in defending the Chancellor from this unstoppable threat. Meanwhile, deep below the surface of Nelvaan, Anakin experiences a disturbing glimpse into his future as well as discovers an evil Separatist plot. Anakin Skywalker has discovered the terrible secret beneath Nelvaan -- a Confederacy laboratory that is transforming the noble Nelvaanian warriors into hideous monsters. On Coruscant, the Jedi try to secure Chancellor Palpatine in the deepest of protected bunkers, but is anywhere safe from General Grievous?